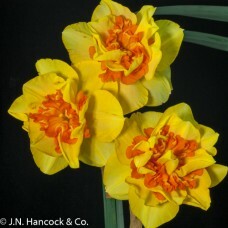 A stunning extremely early double tazetta. 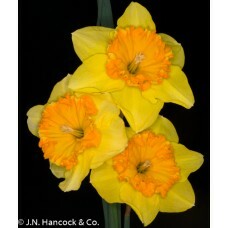 Superficially similar to a double Soleil d’Or with layers.. 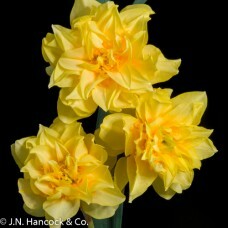 Outstanding free-flowering true jonquil. 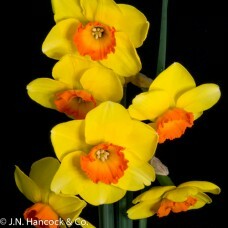 Flowers of lemon-yellow with dark-orange cups in many flowe.. 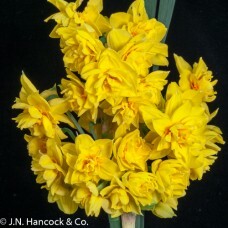 Very fragrant multi-headed tazetta. 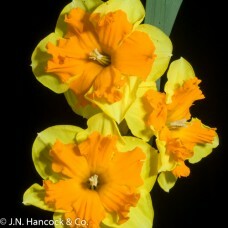 Each flower has nicely rounded yellow petals and dark-orange cr..
A tall, stunning, large-flowered variety; each floret has a bright orange cup and yellow petals. 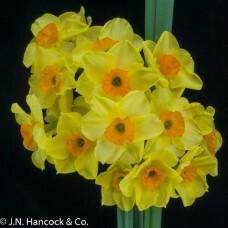 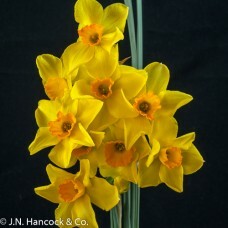 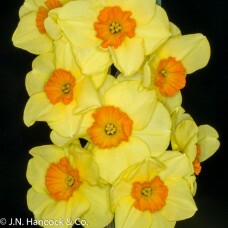 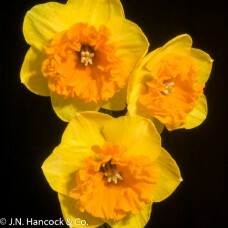 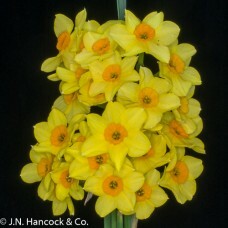 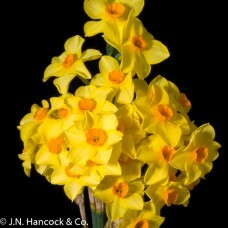 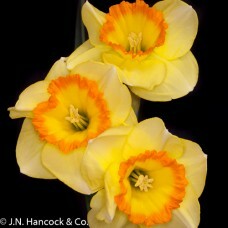 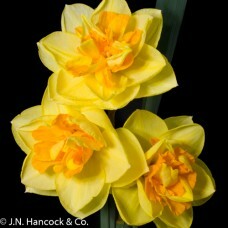 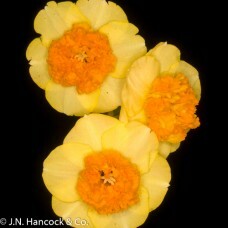 Fra..
Colourful true jonquil; multi-heads of yellow starry petals and a frilled red-orange cup. 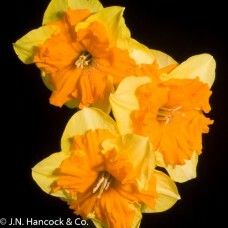 Perfumed. 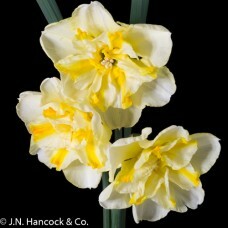 ..
Slightly fragrant historic double. 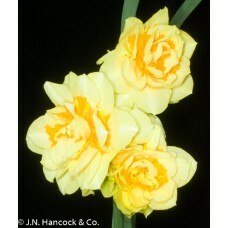 Masses of lemon-yellow outer petals are mixed with slightly dark..
A striking old-style full bloom with layers of creamy-yellow petals highlighted with bright orange r..
A large, eye-catching bloom. 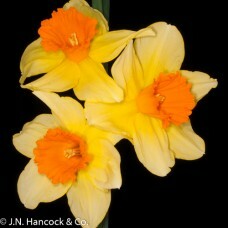 The smooth, round, golden-yellow petals contrast with the magnificent, .. 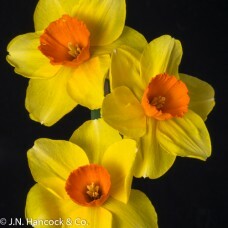 Striking flower; bright yellow pointed petals and open, brilliant orange corona all ribbed and frill..
A gigantic flower with brilliant lemon-yellow petals and a strong, bright orange, funnel-shaped coro..